These delightful, unusual fruits are delicious and sweet - so sweet they are also known as 'honey peaches'. 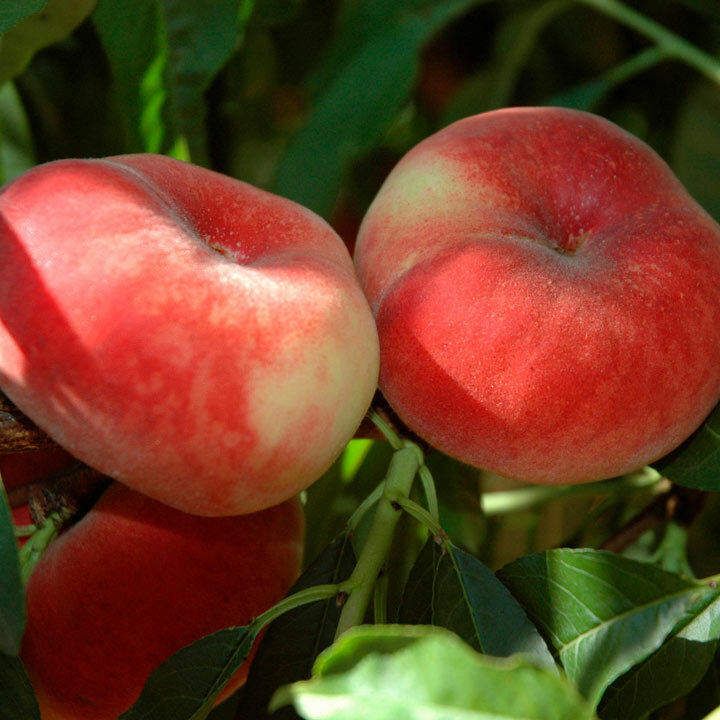 Being a flat, or squashed peach (as our kids call them), they are a little different from the norm. The flavour is one not to be missed especially for those with a sweet tooth (as they contain high sugar levels) and children love them. They have a thin skin, white flesh and a small stone. Recommended by the RHS to be an excellent attractant and nectar source for bees and other beneficial insects. Harvest late August. Height 200-250cm (79-98"); spread 200-250cm (79-98"). Ideal for beds and borders. Attractive to bees. Grows well in full sun or shade.